(b) For green eaer earn- at the close of Septomber 12, 1947. 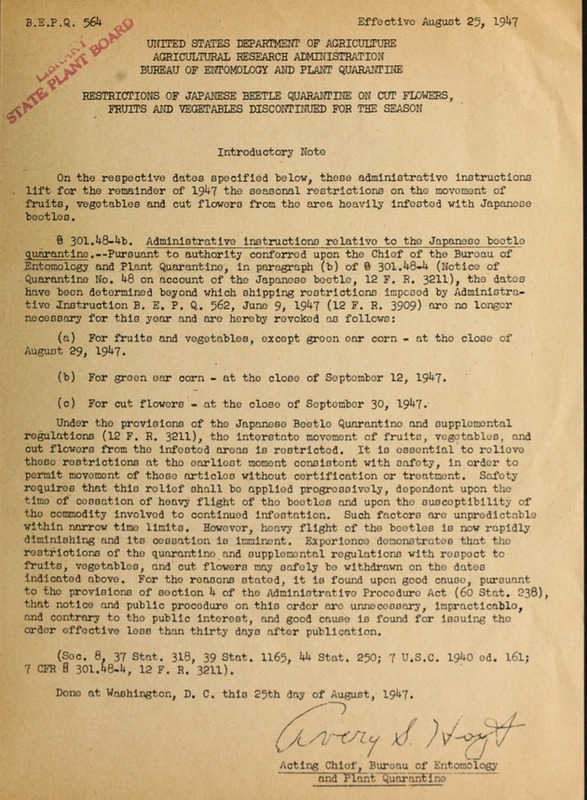 (0) For ut flowers at the close of September 30, 1947.
effective lose than thirty days after publication. Done at Washington) D. C. this 25th day of August, 1947.